This is the type of music that begs a live hearing, the kind of sound that almost requires listeners to feel the bass vibrating the floor and wipe away the sweat pouring down their brows. Explaining the sound of Dub Trio is somewhat like looking at a puzzle. Examining one small piece, by itself, out of context tells little about what the puzzle looks like in a state of wholeness, other than revealing a few flecks of its color and a bit of its shape. Similarly, to only say that there are elements of metal or reggae in the music of Dub Trio fails to provide proper context for how the band's tightly interconnected presentation comes off when all the fragments of their sound combine as one. Stepping back to gain full view of the band's ability to fuse metal, reggae, punk, ambient and noise rock in surprisingly cohesive and effective fashion allows appreciation for the entirety of the band's sound. Culled from material recorded live during two dates at Brooklyn's Union Pool back in February, Cool Out and Coexist is the band's third record; it serves as a brisk and highly charged primer on the band's flashpoint fusion. The record starts with a brief, rapid fire burst of aggression -- the intro to opener "Angle of Acceptance" -- before the band tempers the visceral tone with a bass-driven groove that suggests how Dub Trio received their name. The group's aptitude for seamlessly weaving in and out of styles and dynamics is first seen here and is re-established at multiple points on the album, including the intro to the following track, "Who Wants to Die?" 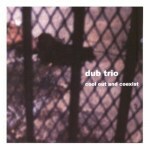 Dub Trio's work is almost exclusively instrumental, and Cool Out and Coexist is no exception. Other than a few bits of spoken word and fleeting vocal interjections, the band allows their instruments to speak for them. Each of the band's members -- bassist Stu Brooks, guitarist DP Holmes and drummer Joe Tomino -- proves to be both proficient and daring as a player. The album is at its most interesting when the band pursues the ideals of experimentalism and synthesis. One of the biggest triumphs is "One Man Tag Crew", a song which manages to fit a heavy rock intro, punk guitars, bouncing grooves and instrumental/vocal effects into less than three minutes of music without seeming choppy or hyperactive. The band mixes ambient elements into "Casting Out the Nines", giving the song an insistent, industrial feel; its sections are more distinctly divided than on other tracks, yet it never feels like a piecemeal combination of ideas. Other highlights include "Drive By Dub", which intertwines active guitar lines with a steady groove; the more trippy "Extract", which marries ambient sounds with a percussive emphasis; and "Screaming at the Sea", with exciting and melodic guitar work from Holmes. When Dub Trio concentrates too heavily on the metal aspect of their sound or when their construct is more conventional, the record suffers. The heavy intro and harsh timbres that mark sections of the song "Untitled" (though the track becomes more interesting as it progresses and fades into "Casting Out the Nines") and the strange, Huey Lewis-referencing beginning of the title track are among the weaker moments on the record. It seems a few too many of the band's songs start with chunky metal riffs. The variety used throughout their material could possibly be transferred to opening passages as well, causing what is an interesting record to sound formulaic at times. Cool Out and Coexist is an excellent showcase of Dub Trio's considerable instrumental abilities and a compelling argument to see the band live any time they take up artistic residence at a theater or venue near you. Is it the type of album to spin often? Probably not. The harshness of tone present in certain tracks and the band's admirable eclecticism can, at times, keep the record from being immediately accessible. This is the type of music that begs for a live hearing: the kind that almost requires listeners to feel the bass vibrating the floor and wipe away the sweat pouring down their brows. With the visual and sensory components not portable to disc, it seems as if there is something missing. Yet there's enough substantive audio to make the album worth experiencing.